My goal with The Mary Project is to share the stories of many people–Catholic or not, religious or not, born here or there–and how they experience Mary in their lives. 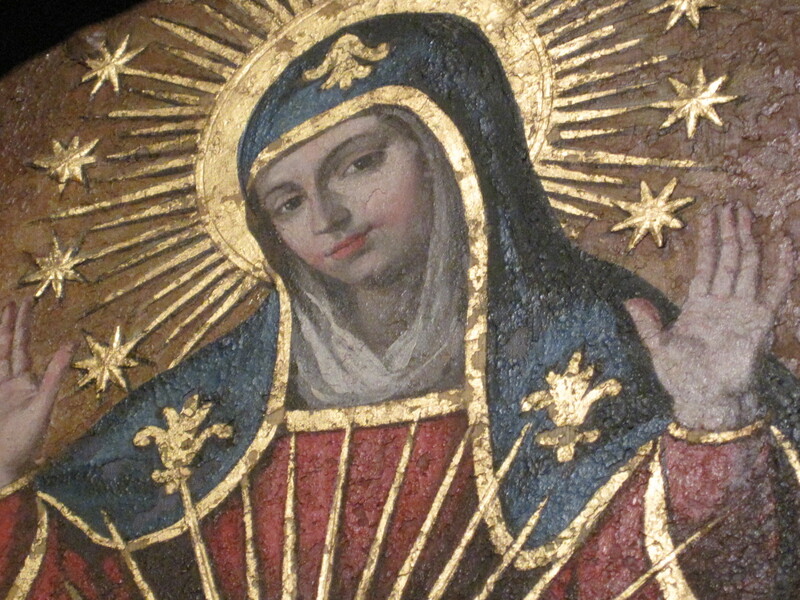 Each day, I’m bowled over by the power of this project and how Mary manifests in my life–and in the lives of others. Last week, my neighbor and her boyfriend came to my house to carpool to a polka Christmas dance party. She loves to dance, he’s Slovenian, I’m part Polish. It was a guaranteed good time. They had just been traveling through the Balkans and handed me a small package when they walked through the door. My face lit up. What? Of course, I know Medjugorje. It’s a place in the craggy hills of Bosnia where the Virgin Mary appears. They say the sun spins, rose petals fall from the sky, and crosses turn to gold around people’s necks. It has long been on my pilgrimage list. “Yes, I know Medjugorje. I’ve always want to visit,” I say, as I look around my living room and wonder if they’ve noticed yet. A white porcelain Mary statue sits on the fireplace mantle with the crumbling Polish lithograph of Mary with angels, a card from the Shrine of Saint Anne de Beaupre (Mary’s mother). A 3-foot tall plaster statue stands in the corner. They’ve never been in my house before. 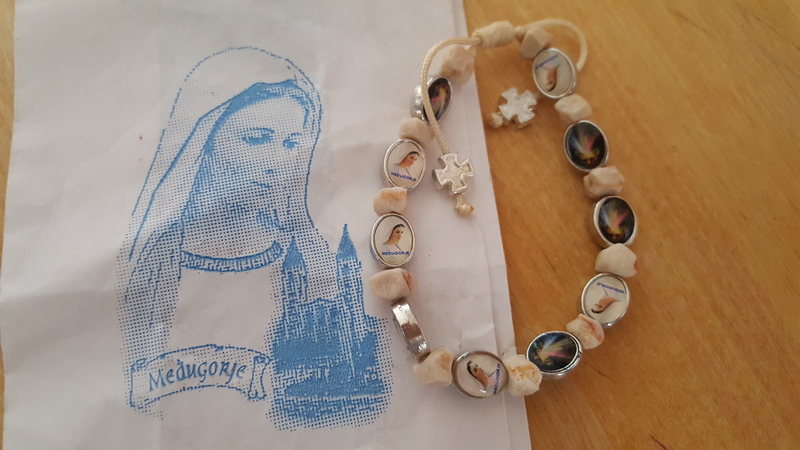 They don’t know I collect Mary souvenirs from around the world. And I’ve never talked to them about Mary or The Mary Project. It was beautiful and delicate and sweet with two little crosses cinching the ties. I held the weight of it in my hand and marveled at the gift. Of all things they could have brought me from this part of the world, they brought me the thing that meant the most–and they had no idea.